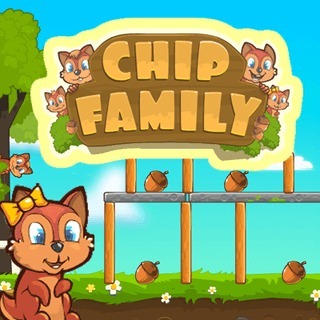 Play Chip Family and more Skill Games on Games1.com! Meet the chipmunks Bob, Marge, Steven and Alice! Winter is coming and your task is to collect as many acorns as possible. Prove your skills in over 50 challenging and find the right way to gather all acorns and to complete every level with 3 stars. Help the chips for the hibernation!